Happy Friday, everyone! Today I'm answering your questions about all things skincare as well as sharing some of my favorite products. I'm always trying/testing new products, but these are some of my favorites right now. These products are what work best for me. Some were recommended by my esthetician, and I'll be sure to call that out below. Not all these products will work for everyone, but they have definitely made the most impact for me. I will say, I have normal to oily skin, I'll be 35 at the end of the year, and I've never had botox/fillers/injections. One of my favorite sites to find out about new beauty/skincare products is Violet Grey. Anything new I'm trying, it's because of their site. I love their daily newsletters, testimonials, and selection of products. No, this isn't sponsored, I just wanted to share my love for them, and I'm sure you'll feel the same. Now, let's get to it! 1. Do You Use an Oil Cleanser? Yes. I used to loathe washing my face at night. I didn't like rinsing with water or face wipes as my skin never fully felt clean. It wasn't until I read an article about oil cleansers & micellar water, and the proper way of washing your face. This is what I was looking for. 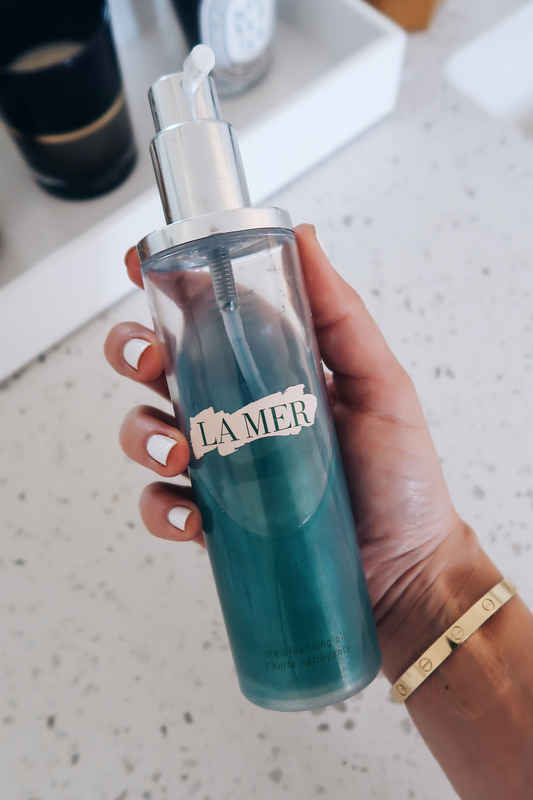 Joanna Czech recommended this La Mer oil cleanser (under $100), and I've been hooked! I just apply it to my face, massage for a few minutes until the makeup dissolves, then rinse with micellar water. My skin feels hydrated afterwards as opposed to feeling stripped from previous cleansing routines. 2. What is Your Holy Grail Skincare Product? 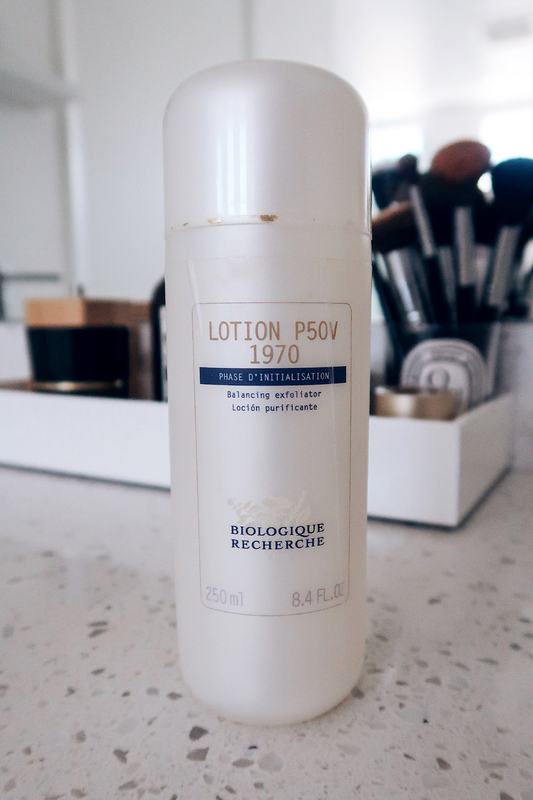 Hands down the Biologique Recherche P50 Lotion. Note: this is not a lotion. It's an exfoliator, but I call it a toner. This cult favorite is a game changer. What exactly does it do? It exfoliates, hydrates, and balances the skin's pH levels. When you first start using, you will notice a slight tingling/redness; this is the toner working to balance your skin. After a few days, that will minimize, and after a few weeks you will notice a glow in your skin. This is a pricier product, but when I don't use it, you can definitely tell. I will never not use this again. I use this morning and night after cleansing and before applying any other skin care product. I do suggest finding a salon that carries BR so you can have an esthetician recommend the correct formula for your skin type. If you live in Dallas, I used to go to Joanna & Lindsay at the Joanna Czech Salon. 3. Do You Use Serums? 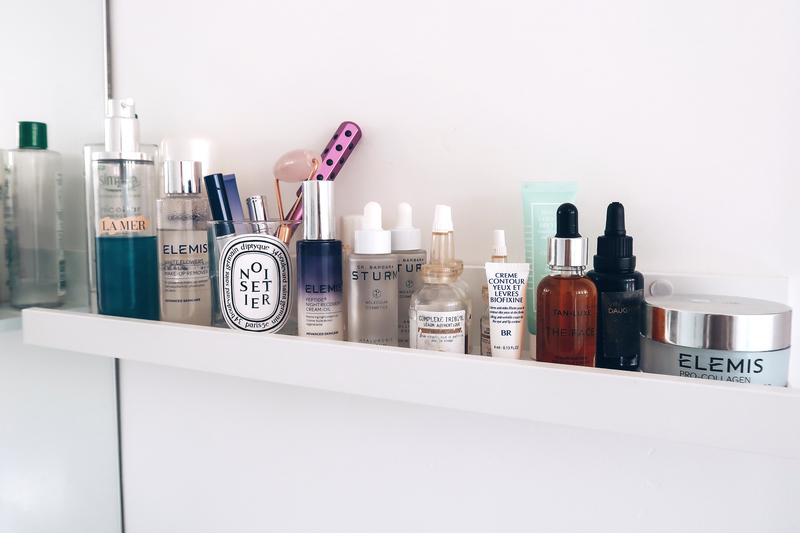 Yes, I have tried a lot of serums, but I'll just speak to a few of my favorites today. Not featured are three others that my esthetician recommended for my skincare needs/goals. They are all by Biologique Recherche: Complexe Iriboil, Dermopore, & Colostrum. The two that I do want to highlight today have become everyday favorites. 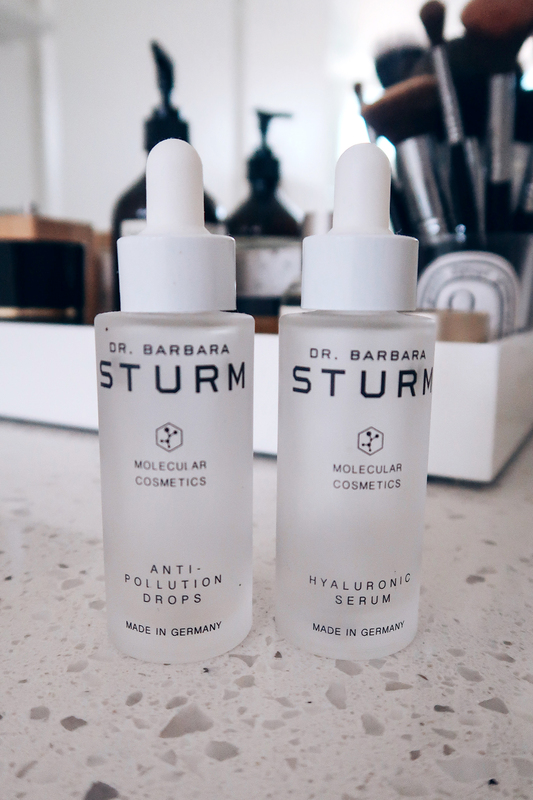 I started using Dr. Barbara Sturm at the beginning of the year and love the results I've seen. Some of the products are expensive, but I'm all about a preventative aging skincare routine. The first serum is the Anti-Pollution. I use 1-2 drops in the morning before my moisturizer. 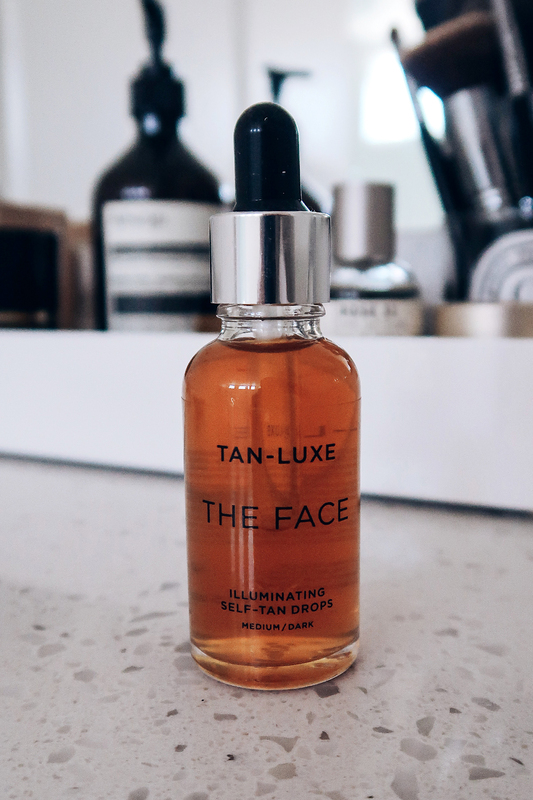 This serum fights off UV rays and blue light from our computers and phones which negatively affect skin health and skin complexion. I don't know about you, but my face sees more UV rays/blue light than actual sleep. The other is the Hyaluronic Serum. I only use this at night, again 1-2 drops before my moisturizer. This serum acts as a super booster to fight off wrinkles. My skin looks radiant, feels hydrated, and refreshed. Both bottles using 1-2 drops should last about a year. 4. Did You Like the Tan-Luxe Face Self-Tanner? Last week I posted on IG stories that I purchased this self-tanner specifically for your face. I few of my girlfriends suggested it, so I thought I would try it out. I LOVE it. The product recommends mixing 1-4 drops with your moisturizer, so I did 2. I didn't notice a "tan smell" or anything different when I applied the drops to my moisturizer. I keep my face makeup free all day (you could also apply at night), and by the evening I had the best glow and slight tan. I'm definitely going to continue using these through the fall to keep my summer glow going! 5. What is Your Favorite Eye Cream? 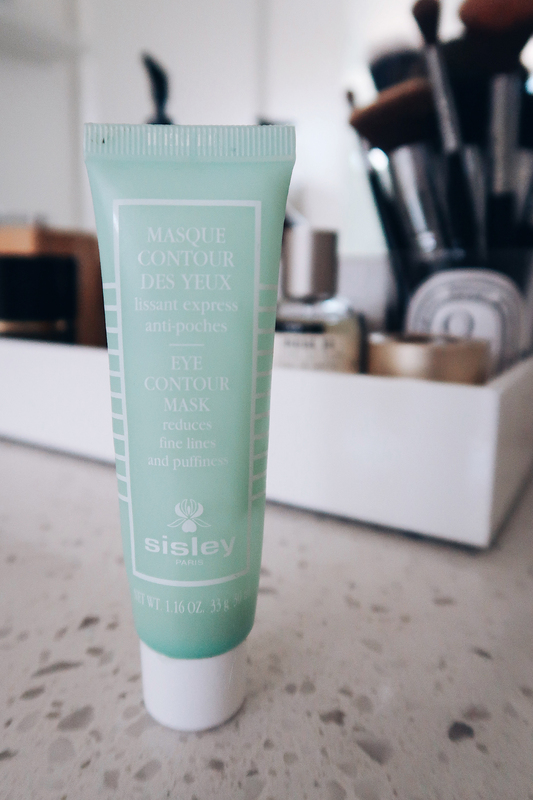 This is technically an eye mask by Sisley Paris, but can be used as an eye cream. It's my favorite so far, and trust me, I've tried finding others I like better due to the price. I've never had an eye cream so hydrating; I especially love it in the winter. It reduces puffiness & dark circles, as well as smooths fine eye lines. I will say, even though it's on the expensive side, I've had this tube for over a year and it's lasted all this time. Maybe it is worth it?! 6. Have You Tried Face Rolling? Yes! I have two rollers that I really enjoy! The first I picked up during the Nordstrom Anniversary Sale, the Nurse Jamie Facial Massage Roller. This roller has 24 massaging stones to energize, revive, and uplift your skin. I massage in each desired section of my face for 30-45 seconds in both directions. I also massage on my neck & décolletage. 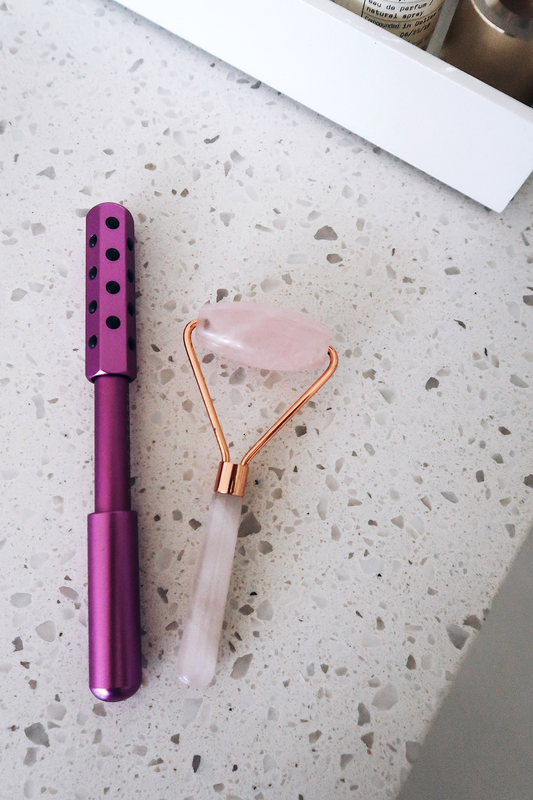 The second is this Rose-Quartz face roller I purchased from Violet Grey. This roller is used to drain fluid, boost circulation, improve elasticity and promote cell turnover for a brighter, healthier glow. One of my favorite features of this roller is how the stone is naturally cold. I gently press on my eyelinds and under eyes to reduce puffiness in the morning and its the most relaxing feeling. This roller is to only be used in an upward and outward motion in order to properly drain fluids. The combination of both rollers is a relaxing way to wakeup and wind down every morning/evening. 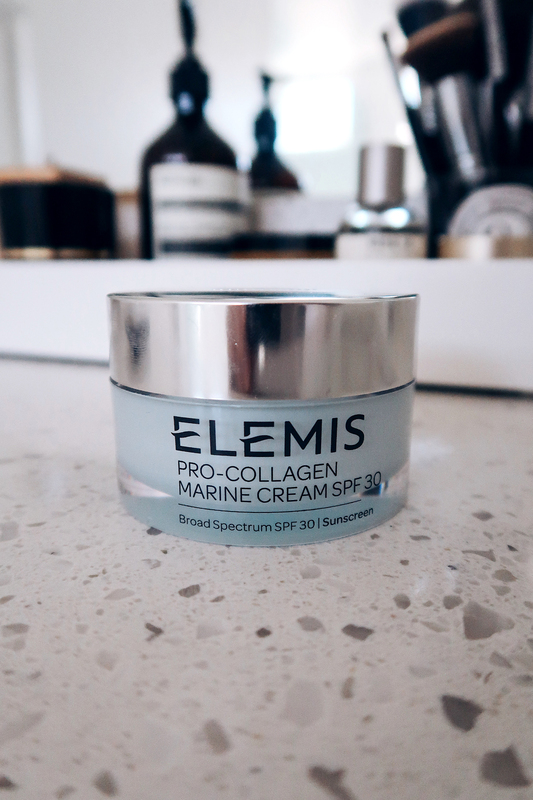 Right now I'm loving the Elemis Pro-Collagen Marine Cream. Full disclosure, the Elemis team sent this to me, but I'm really enjoying it so far. I've been using it for about a month now, and can definitely see a difference. My skin feels so hydrated, the elasticity has been restored, and I love that its anti-aging. I currently use this morning and night, simply because it feels so refreshing after being applied. 8. 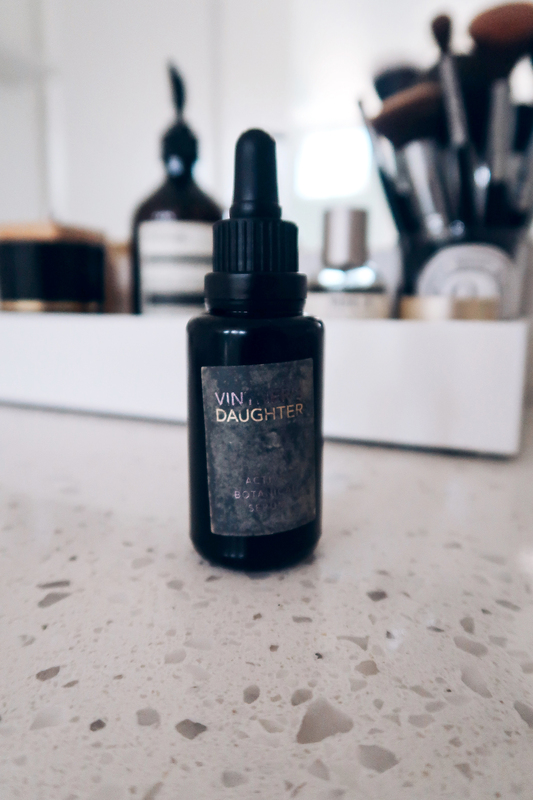 Is Vintner's Daughter Worth It? Yes. Yes. Yes. Again, this was recommended by my esthetician, however, it's a product you don't need a specific formula for your skin. Just get it and thank me later. This little gem is perfect for age prevention, dry skin (although I have oily skin and love it), fighting fine lines & wrinkles. What exactly is Vintner's Daughter? It's an active botanical face oil that restores skin's balance, texture and natural radiance. There are a few ways to use it. Normally suggested to use 6-8 drops and apply directly to face, or specific targeted area. Press firmly into your face, neck, and décolleté. However, I use a little more sparingly and will mix few drops into my moisturizer. I love the scent and as you can tell from the bottle, this serum has seen a lot of love.